Hello everyone! 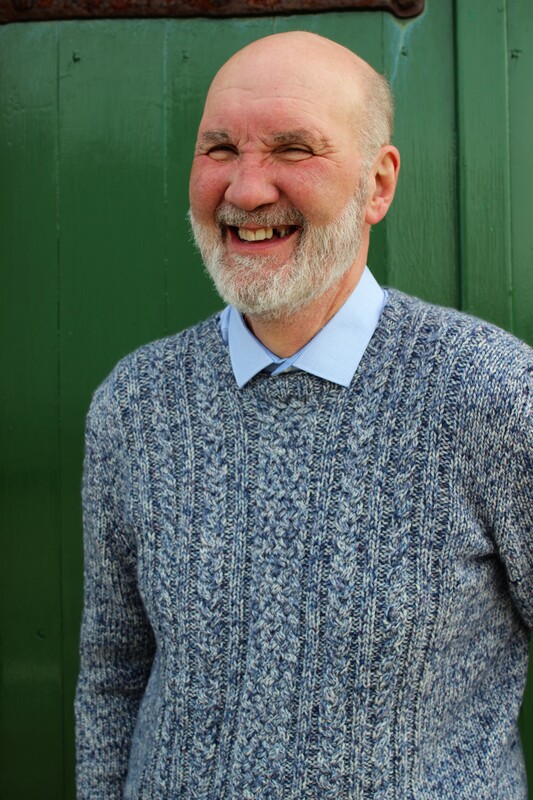 Just a quick post today to show you the jumper Sandra has made for Oliver using our Croft – Shetland Tweed yarn which we launched last year together with West Yorkshire Spinners..
Sandra made Ollie the Ewan Sweater from the Croft – Shetland Tweed pattern book, it contains 14 designs by Sarah Hatton all to be made using the Croft Yarn. 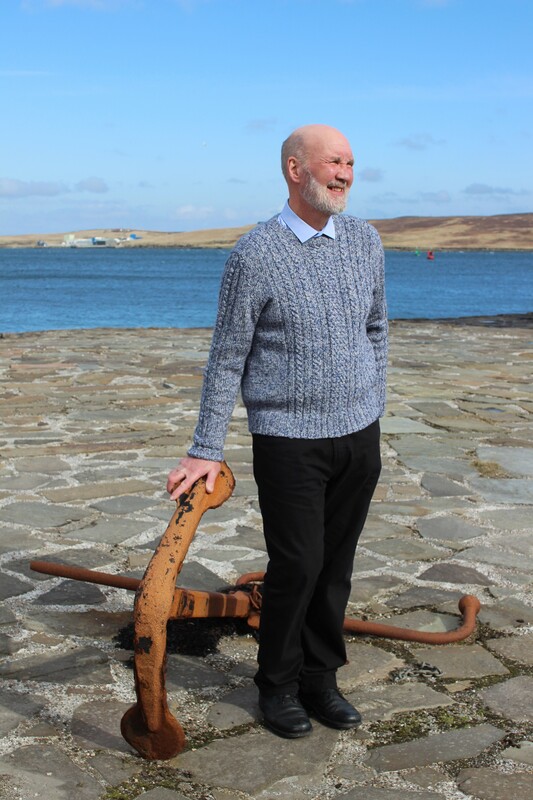 The Ewan Sweater is one of two patterns for Mens jumpers in the book and there is a nice selection of other jumpers and cardigans for Women as well as some accessories. 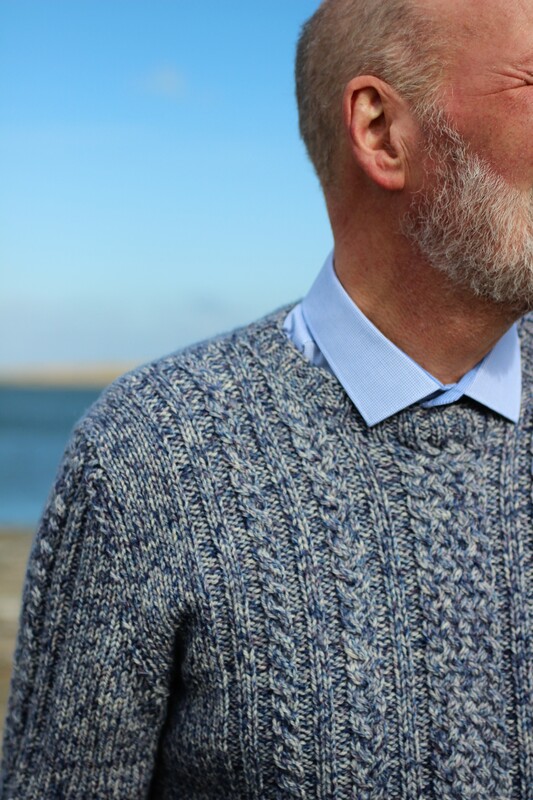 Oliver decided on the Boddam colourway for his jumper and I think it looks great! 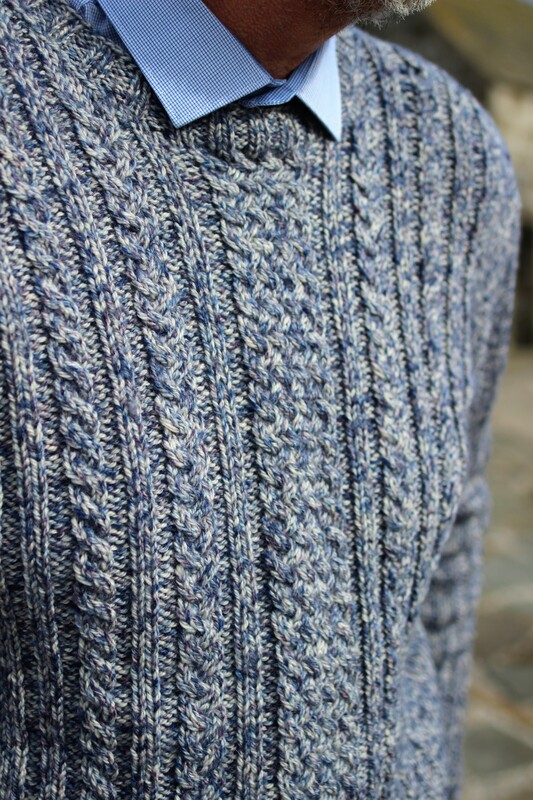 Sometimes with a very flecked or speckled yarn its hard to imagine how the wool will knit up but this shows how the speckles really work well with the texture and cables in the pattern. Sandra likes to knit in the round as much as she can but she chose to follow the pattern and knit Oliver’s jumper in pieces, the Croft yarn has a good drape and can grow a bit when its washed so a big project like this is best worked in pieces for stabilitly. I think Oliver is pleased with his Jumper! 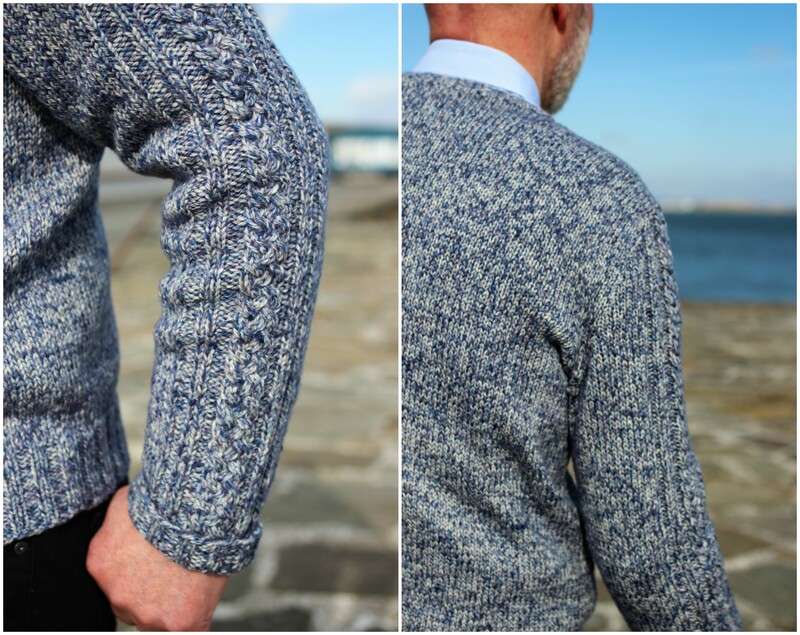 You can see the Croft Shetland Tweed yarn on our website here and the pattern book here, you can also see more of the patterns in the book here. I would suggest looking through the projects made with the yarn on Ravelry too, there are some great ones! Thank you for posting this. Oliver looks absolutely splendid in his Ewan. May he wear it a long time and in excellent health! I appreciate your use of a tweedy yarn, to show us how beautifully it complements the many cables. He looks quite chuffed wearing it! Super pattern. What an amazing pattern!!! Oliver looks quite spiffy in it too!